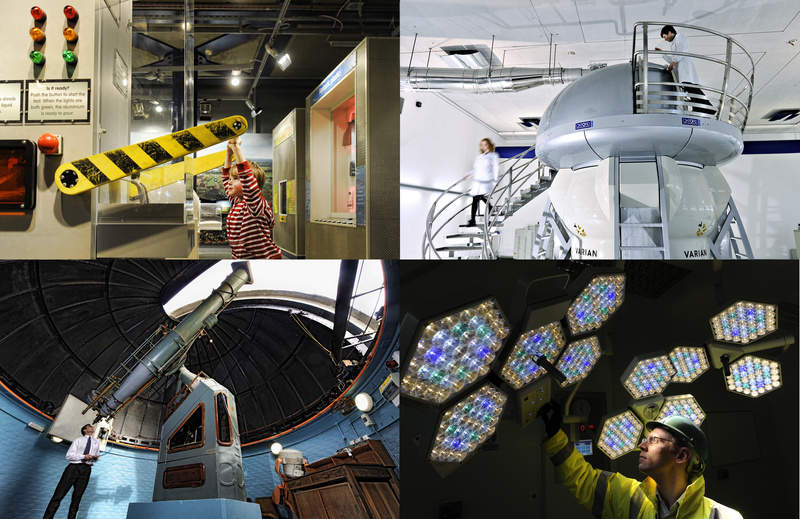 Birmingham Science City (BSC) is now recognised as an important catalyst of collaborative innovation activity in Birmingham and the West Midlands, supporting a vibrant local innovation ecosystem and advising Greater Birmingham and Solihull (GBS) and other local Local Enterprise Partnerships (LEPs). Valued for its neutrality, networks and knowledge, BSC is able to identifying genuine gaps in the local innovation landscape and work with partners to fill them. Throughout its lifetime, it has had the consistent aim to develop, use and promote science and technology to improve prosperity and quality of life, though its governance and approaches have evolved with changing and challenging times. Born of a Whitehall initiative in 2005, and nurtured under the wing of the Regional Development Agency in the early years, BSC was fully reconstituted as an independent partnership of the public, private and research sectors at the end of 2011. In December 2013 the independent Partnership Board reviewed progress against the constitution adopted in 2011. The full report and constitution can be found at http://www.birminghamsciencecity.co.uk/about-us/aims/. This article shares the highlights of that review and considers BSC’s priorities going forward, with a particular emphasis on BSC’s role in supporting Innovation for Growth . Partnership and Networks: There are over 200 individuals from over 50 public, private and higher education organisations working closely with BSC on the Board, Working Groups and business groups and/ or on developing or delivering activities and projects. Ten partner organisations currently contribute to the modest costs associated with the BSC Executive (approx. 2.6 FTEs) and Board, with special thanks to our core university partners and Birmingham City Council, with other partners contributing to the resources for specific actions. The Board agreed that this model of partner funding was essential to maintain partner buy in and the impartiality for BSC that has become a key valued attribute, despite the challenges of sustaining funding. Innovation Ecosystem: This first of three areas of action laid out in the BSC constitution includes supporting physical infrastructure, engagement in Science Technology, Engineering and Maths (STEM) careers and finance for Innovation. However, particular progress of relevance to the Growth Strategy has been made in activities to encourage innovation in business, with highlights being (i) the establishment and running of the Chief Technology Officers Group as an invitation only network/ discussion group of the Innovation Leads in businesses, public sector organisations and universities and (ii) The development of the (ERDF funded) Innovation Engine Project to enable SMEs to access new markets by matching large organisational challenges with knowledge/ technology from SMEs and universities and catalysing relationships and access to knowledge transfer schemes. Collaborative project development in specific sectors: Since its inception in 2005, BSC has catalysed the development of collaborative R&D projects or, increasingly, demand-led demonstrator projects to facilitate commercialisation/ exploitation, with a particular focus in Low Carbon, Innovative Healthcare and Digital. Recent highlights have been (i) the establishment of a pan-WM partnership positioned to participate in a bid for a EC Healthy Ageing KIC (Knowledge and Innovation Community; a very large-scale collaborative R&D, training and enterprise programme) and (ii) development of the £1m Creative Digital Health Solutions project which involves application of existing and new digital innovations to increase patient and service-user choice in determining healthcare solutions and maintenance of personal wellbeing, and opening new market opportunities. Marketing, Engaging and Communicating: This final area of action involves the ongoing, but nevertheless vital, work of maintaining a thriving and well informed innovation community, building relationships with key funders and policy makers (notably the Technology Strategy Board nationally) and working with partners to promote science and innovation strengths, e.g. via the Birmingham Year of Science 2014 and associated events. Priorities for next two years: At its review meeting in December 2013 the BSC Board congratulated the Chair, Director and Executive Team on progress to date and endorsed the existing constitution as continuing to be fit for purpose. Going forward, the Board suggested work on taking advantage of new European opportunities; further developing activity around the STEM skills agenda; more work with partners on promoting our R&D and Innovation strengths; seeking innovation at the interfaces between our priority sectors; and supporting partners to access national centres such as Catapult Centres.